Top fitness tips to succeed this year. It’s the second week of the new year and I think it’s time to offer some of the best fitness tips to succeed this year. According to statistics some have already abandoned. Do not throw in the towel so soon because this is a long distance race. The second statement is much more assertive and is a more powerful message. Consider shifting your mindset from goal orientation to path orientation. You are on a journey to get fit. You set your goals but you still have to walk the path. Enjoy your journey and refer to your objectives often to remind why you started in the first place. There are a number of reasons why logging your workouts could be beneficial. Progression. This is the number one reason to keep a training log. Two huge and common mistakes I see in the gym are those who increase their training volume in huge jumps, likely resulting in injury or burnout, and those who stay stagnant at the exact same weights/sets/repetitions for months and months, and wonder why they aren’t seeing any progress. The principle of progression, one of the seven main principles of exercise, states that overload of exercise should occur in gradual progression rather than in major bursts. Keeping track of your workouts will allow you to analyze your progression, as well as ensure that consistent, yet gradual gains are being made. Motivation. Similar to keeping a food journal, logging your workouts will help motivate you to continue with your training plan. Knowing that must put in a workout before you can record reps or instead leave the page blank, can be enough incentive. Further, physically seeing the weight add up on paper is motivation to continue making progress with your training. Keep you accountable. Training logs distinguish wishful thinking from reality. It’s easy to fool yourself into thinking you had a great (or horrible) workout, but by writing down what you did, how you felt, goals achieved, etc. this will tell the real story. Training logs keep you accountable for what you’re doing on a daily basis. Build confidence. Athletes often take a critical view of themselves, always looking for areas that need improvement. Keeping a log of daily success forces you to recognize your progress and success, and this leads to and builds confidence. Trial and error. After a particularly successful training cycle in the gym where you made gains, or perhaps a training cycle you struggled through. Having access to particular statistics and notes on your training will aid in building future training plans. Keeping a detailed training log enables you to better find the factors in a good or poor performance. 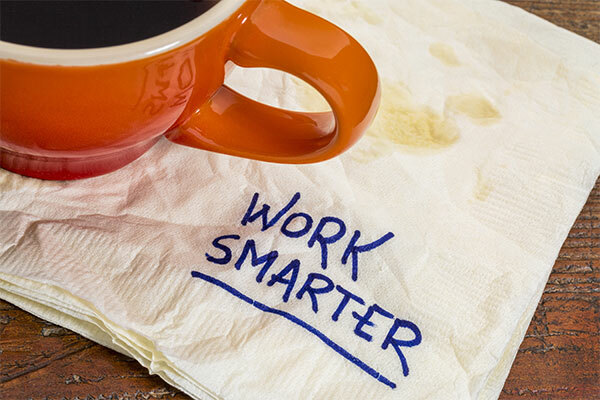 For example, you may find your performance flattens when you get less than six hours of sleep, or that after a stressful day at work you struggle with your motivation. You can scrutinize what you have done to look for trends or patterns, so you can make any needed changes. The training log is your own personal history of your training and performances. It can, and should, be used to see what works and what doesn’t for you in training to meet specific performance goals. Most athletes and individuals use training logs to keep track of the basics such as the number of repetitions and weight lifted. Limiting your training log to this basic information is only scratching the surface of the potential of what a training log can really provide. The facts of the workout such as the number of reps, weight, miles laps, weather, the time of the workout, etc. Goals for the workout and the extent to which each goal was achieved. Hours of sleep the night before. The diet the day before, especially the last meal before the workout. What you need to work on in the future based on today’s results. A success from the training session, i.e. what you did well or accomplished. These lessons learned or reminders that can be applied to competition. There is no single training log template that will meet the needs of all athletes. There are e-versions, pre-populated version, the good old notebook. The point, no matter what type of journal/log you use, you need to take the time to develop a training log in a format that you’ll use and will work for you. Your journal should be unique to you. Your thoughts, your workouts, your ideas are going into there. It should fit YOU. Take your workouts week by week or even day by day. Look at Day 1 and focus only on what you have to do that day. Tomorrow you should only be focusing on Day 2. Keep your mind from wandering and letting the overwhelming future lead you astray. So focus on today. Many people give up on their resolutions within the first seven days because they don’t see the results they want and grow discouraged. I think it’s because they don´t notice the small signs of success, the small wins. If you’ve never trained before and followed through for two weeks, that should be recognized. Also, huge results take time. It’s about keeping track of small wins. You may not lose those 10 pounds quickly, but if you lost 2 pounds, then you’re 20 percent closer than you were before, and you are on the right path. That’s great! Appreciate the small improvements you’re making, because without them, the big improvements won’t happen. As long as you look forward, figure out how to overcome the obstacles and commit to being the best you can possibly be. Each day you finish, you get one step closer. Recently, the Rock posted a photo of himself in “movie-shoot-ready” shape, explaining that it took 18 weeks of extremely disciplined diet and exercise (he travels a lot so will often be found working out at 2:30 AM somewhere). Also notice in his caption: He has an entire TEAM of people devoted to supporting him. It’s the Rock’s FULL TIME JOB to be in shape. People pay him money (a lot of money) to be jacked, and then an army of other professionals is along for the ride to make sure he does it. this is a realistic outcome for an average person. that they could a pro fit level eating and exercising into a normal life. that there’s something wrong with them if they can’t do everything themselves. It doesn´t work that way. This is not a normal life or outcome. No knock on the Rock, but do you think he (or anyone else) would stay on such a strict diet and training schedule if he wasn´t getting paid to be jacked? If he didn’t have a team helping him? He has kids and a wife. What if he was just a regular dude with a commute and and high-stress job with long hours, and had to mow his own lawn? Don’t know where to start? Just want someone to tell you what to do? There will be plenty of moments with self-doubt, and having the right people in your corner can mean the difference between success and another year of looking back, wishing that you’d achieved your goals. You don´t have to do this alone. Having a trainer will help you stay motivated, hold you accountable, and give your best day in and day out. Follow these simple tips and make this year your best EVER! Losing weight is easy, right? You just need to start increasing the number of workouts you do each day and start eating a bit less. That’s it, isn’t it? Well, in actual fact, it might not be as simple as that. There are a lot of mistakes that some people make without even realizing it, and these mistakes could lead to them actually adding on a few extra pounds. Depending on the mistake, that extra weight gain could even occur if you have increased your workouts and decreased your food intake. 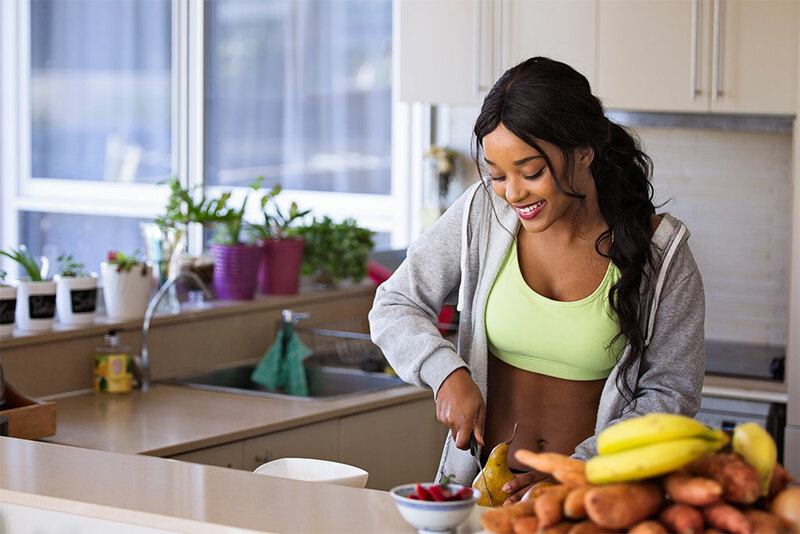 Thankfully, it can be very easy to spot these mistakes and make the necessary changes to your lifestyle that are needed to get in better shape. Here are some of the most common mistakes when trying to lose weight – make sure you don’t make them yourself! There are lots of people out there who believe that doing a lot of cardio workouts is the key to losing weight. True, the more you sweat and get out of breath, then the more calories you will be burning. However, just sticking to cardio isn’t good enough, as your body will become used to it, and it won’t be quite as effective as you would have hoped. So, it’s important to know how much cardio to lose weight is necessary. 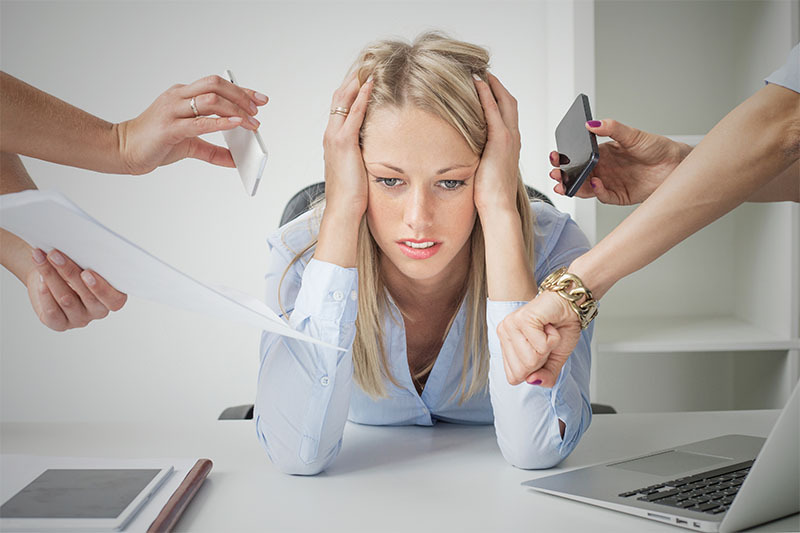 Generally speaking, two to three sessions should be enough. However, you need to make sure that you are also doing at least two strength sessions each week as well. Strength training is another effective way for your body to burn calories, and can also turn all that fat into muscle. If you ask anyone about what you need to do to lose any excess weight, I’m sure that they will tell you that it’s necessary to reduce the number of calories you eat every day. This is true to some extent, but you shouldn’t follow a too restrictive diet, or else you could actually find that your body stops burning off any fat. That’s because not eating enough calories will drastically slow down the metabolism and will also lead to muscle loss. These days there are a lot of “diet foods” that say they have zero calories or fat in them. These may look very tempting when you are doing your grocery shopping in the supermarket as you will still be able to eat some of your favorite treats and not feel guilty about it. However, these foods are often highly processed, which isn’t good for the body. As well as that, all the highly calorific sugars are often replaced with chemicals and additives that are harmful for the body in various ways. Ideally, it’s best to stay away from these foods and stick to natural unprocessed foods that have the complete range of nutrients that your body needs. When you come away from a very productive workout session, you will no doubt feel very out of breath and sweaty. They’re both signs that you worked super hard! And that means that you will have burned off a whole bunch of calories, right? Well, unfortunately, it can be very easy to overestimate just how many calories exercising actually does burn off. As a result, lots of people end up thinking that they burned off more than they did, and they don’t alter their diet accordingly. Generally speaking, most hard thirty-minute workout sessions will burn off between 200-300 calories. So don’t make the mistake of thinking that you burned off 800 and go away to treat yourself to a big meal! People know that it’s important to eat a good mix of both whole-grain carbohydrates and protein so that their body has all the necessary nutrients for energy and to aid recovery. However, you also need plenty of fiber in your diet as well, and this is something that many people often forget about. A diet rich in soluble fiber can actually help you feel a lot less hungry through the day as it reduces the appetite. So, you will find that you are less likely to overeat. Not only that, though, but lots of fiber in the diet can actually reduce the amount of calories that are absorbed by the body. So that means that you won’t be taking in as many calories, even if you are following a calorific diet! Hopefully, you no longer make these weight-loss mistakes! Starting a new workout regimen is always exciting and energizing. The learning curve provides a mental adventure that sparks interest and determination in accomplishing new health and wellness goals. Incorporating strength-building tools will help you get better results and feel more confident about the time you put in at the gym. The resurgent popularity of kettlebells has driven many people to incorporate them into their routines to spark their strength and cardio workouts. Let’s first define what a kettlebell is and its most common uses for fitness. A kettlebell is a cast steel or iron weight with a grip handle that is used for a variety of exercises and movements, including a combination of strength, flexibility, and cardiovascular training. Kettlebells are designed to fit your grip and balance the weight you are working with, using gravity to build muscle strength and increase endurance. The weight is off-center, unlike traditional weights found in the gym, allowing the user to target multiple muscle groups and areas of the body within a single exercise. The benefits of using a kettlebell during your workout are countless. You will find after consistent use in just a few sessions that your balance, endurance, strength, and coordination are improved. Unlike most traditional exercise machines, kettlebells do not isolate particular muscles but rather require whole-body movements that will give you a much more productive workout. By incorporating these useful tools in your workout, you will build strength in your tendons and ligaments, which can prevent injury. So, you are interested in incorporating kettlebells into your workout regimen. Let’s talk about how you should go about choosing a kettlebell based on your fitness and comfort level. First, note that it is always important to consult a trainer if you are unsure of proper technique to avoid being injured during your routine. There are basically two types of kettlebell movements: ballistic and grinds. Ballistic movements are quick movements like lifts, swings, and tosses. Grinds refer more to slow movements like overhead presses, bent presses, squats, and deadlifts. Each type of movement has different results, so depending on your goals, you may select a different type of kettlebell based your needs. Of course, one can combine both types of movements to create a hybrid workout as well, in which case having a variety of kettlebells with fluctuating weights is the most beneficial setup. Ballistic movements and lifts require heavier kettlebells because there is not quite as much control necessary as with slower movements. Exercises like windmills, get-ups, and overhead presses demand slow-paced, controlled movement in order to get the best results so one would use a more lightweight kettlebell for these types of routines. It is advisable to start off with two kettlebells, one lightweight, and one heavyweight. These weights will vary based on your size, physique, fitness, and comfort levels; however, having a slight variety will give you some options to shake up your routine. For the man who is just starting out using weights or who is at maximum able to bench press 200 pounds, it is advisable to begin with a 35-pound kettlebell. If you are able to bench press more than 200 pounds, then you could start with a 44-pound kettlebell. After a few months of training with this size kettlebell, you should be able to move to a heavier weight as you build strength. A 53-pound kettlebell is in your future! Typically, women who are new to training with kettlebells are advised to start with an 18-pound kettlebell. With regular reps and consistent workouts, you will be able to increase the amount of weight you use in the gym or at home. Now, if you’re a seasoned gym user who has used weights in the past, then you could start off with a 26-pound kettlebell. After just a few short months, you will notice your strength increasing substantially and will be able to grow with the size of your kettlebells to begin including heavier weights and denser workouts. In any case, purchasing a full set of kettlebells will give you a wide variety of weights that will fit your needs from start to finish, no matter your workout routine. You can then match your growing strength with a new weight that will keep you progressing in your fitness goals. Having options to choose from will give you the resources you need to design whatever workout matches your current goals. The best parts about kettlebells are their small size, mobility, and physical benefits. Some of us need the gym to keep us on track, and others can make their own living room into their workout zone. With these useful fitness tools, you can easily transport them to any space you wish to squeeze in a solid workout. Just like with any fitness routine, with consistency, determination, and practice, it won’t be long before you start seeing results. In a world where we are constantly busy with work and other demands, having a simple-to-use and transportable fitness tool gives us a big advantage when it comes to staying fit. If you are interested in incorporating kettlebells into your workouts, then turn to the kettlebell experts at Kettlebell Kings. 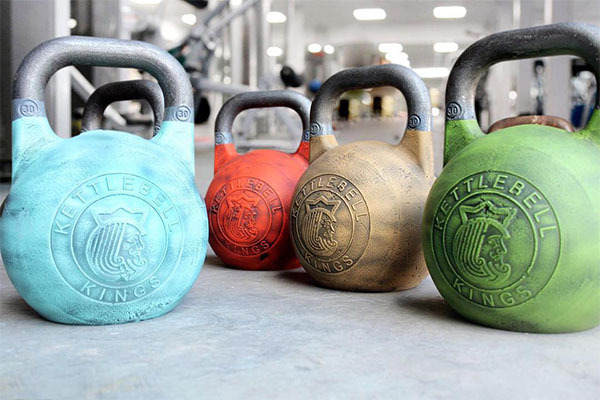 Our high-quality kettlebells are guaranteed for a lifetime, and we have the right weight for you, whether you are a veteran or top-level competitor, or are looking to incorporate kettlebells into your workout for the first time. Check out our selection at www.kettlebellkings.com, or call us at 855-7KETTLE today.